The Pizza Oven adds a great flavour to social events. Groups are welcome to use the Pizza Oven during the warmer months. This needs to be pre-arranged, so that there is suitable wood and oven start-up times have been factored in to the meal planning. We do charge a small additional fee for the use of the oven, to cover the cost of the specific wood for the over, and us starting up the oven in advance (if required). Cost $35 incl gst. Note: we also have cooked sausages, smoked salmon on a cedar board (pre-soaked) baked bread and even a cake – the options are limitless. 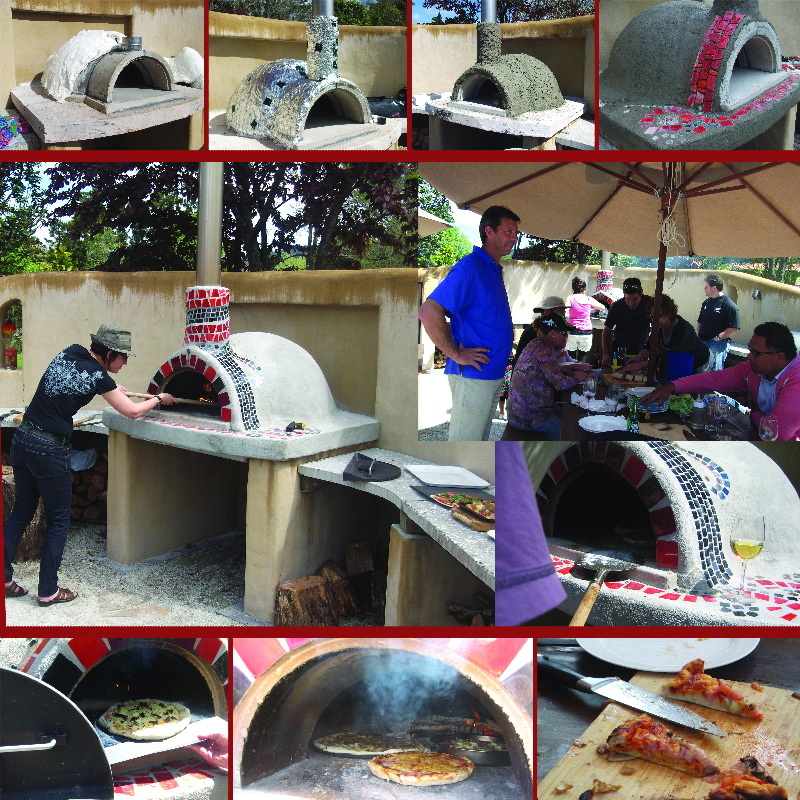 We built our Pizza Oven from a kitset purchased from Mi Pizza www.mipizzaoven.co.nz– based in Mt Albert, Auckland. The guys installed a suitable base within our courtyard, and put together the basic kitset very quickly. Over the next couple of days, I helped Tony (one of the Mi Pizza guys) layer up plaster and shape the oven till it looked just right. The beautiful tile design took me somewhat longer, the vision had to be realised – I was lucky that October 2011 had some great weather. Once finished we cured the oven over about 10 days, then had a fantastic weekend of family and friends over two days testing out recipes and techniques for getting the best results of great PIZZAs (and other interesting foods).